Here is Hunter’s win picture with Judge Mr. Fred Bassett. We were lucky to get this picture as Hunter had decided that he was done showing for the day. He kept sitting, or moving a foot, or sitting… He is such a geek sometimes… but he is a Cardigan afterall. 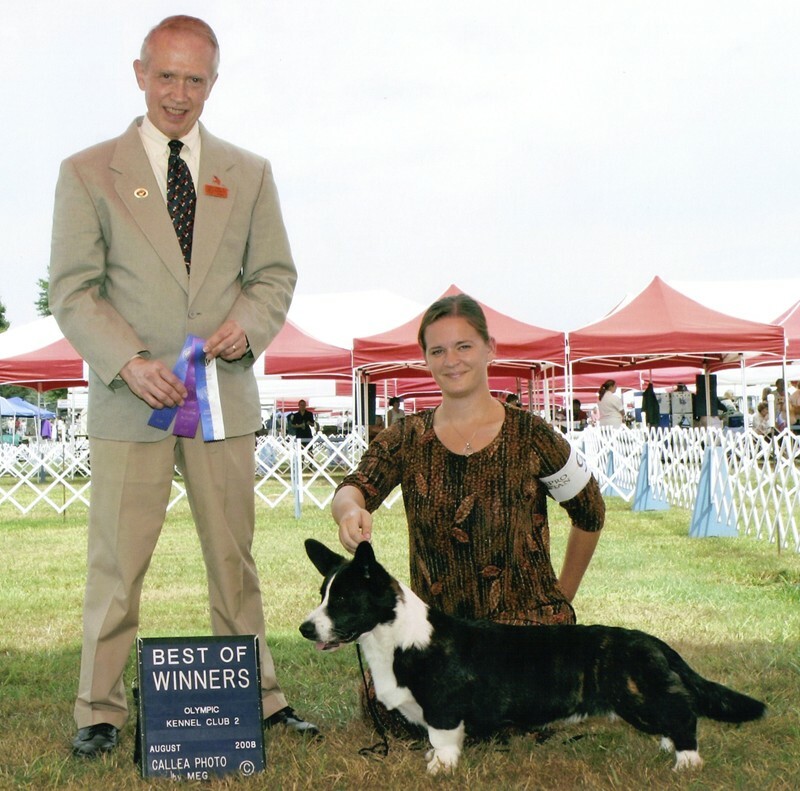 Last weekend on Aug 24th, in Redmond, WA Hunter took Reserve Winner’s Dog under well respected breeder judge Mr. Jon J. Kimes of Pluperfect. I was very proud of him, despite the fact that Hunter wanted to run, bounce, skip, and frolic in the grass that day. Good thing he is still in puppy class! I really enjoyed visiting with everyone. On to the Richland show! Maybe Canada?? ?